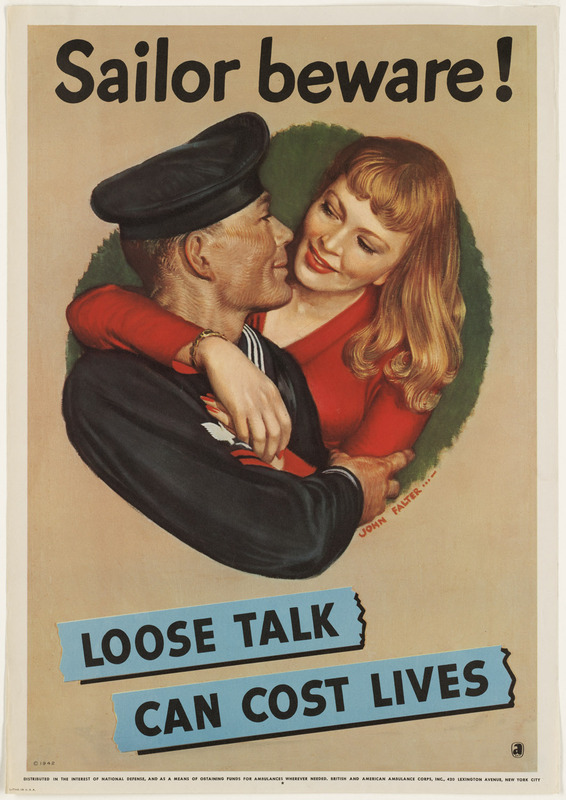 Summary: Woman about to kiss a sailor. Se você disser onde está indo ... ele pode nunca chegar lá! Title: If you tell where he's going... he may never get there! 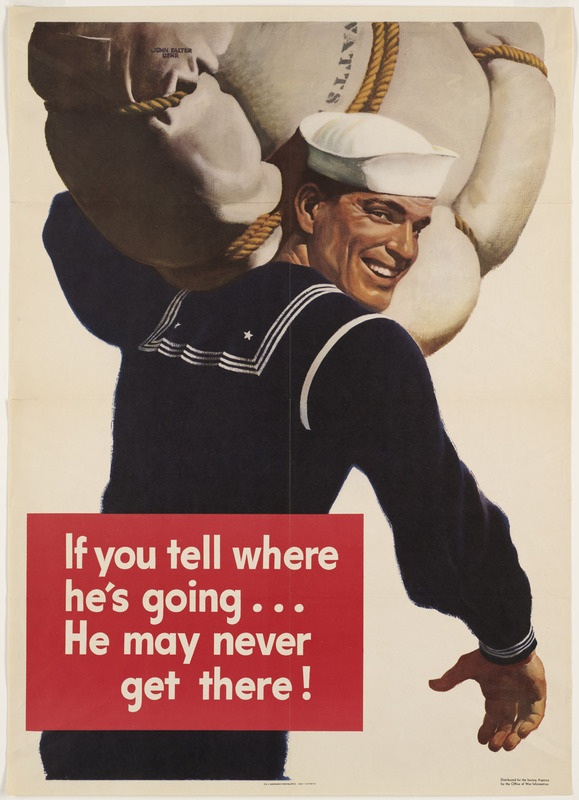 Summary: Sailor walking away with duffle on left shoulder, looking over right shoulder. Poster signed "John Falter, USNR"